We have many activities that are available in and around the park. Here you will find activities that are available close to the Park and others that are available outside of the park but still within 30minutes drive. We also have an excellent daily children's programme that runs during our summer season. Whether you're surfcasting into the estuary or surf, sending out a torpedo longline or launching your boat, the fishing options are all easy. 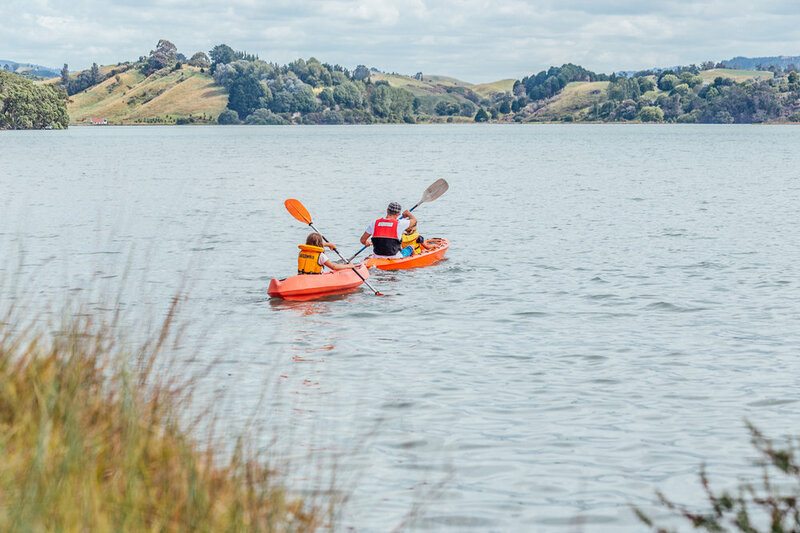 Ohiwa Beach Holiday Park offers a range of double and single kayaks and pedal cars for hire, so you can enjoy a tranquil afternoon kayaking on Ohiwa Harbour. Ohiwa Glows Worms is a fun and unique family attraction to explore after dark and just a 10-15 minute walk from the park. Around our area there are a number of scenic walking tracks with spectacular ocean views and beautiful native bush... perfect for walking or jogging. The Ohiwa Harbour is one of the premier natural jewels in the Eastern Bay of Plenty's geography and is only footsteps from our Park. There are many activities you can do in the harbour. Your stay at Ohiwa Beach Holiday Park gives you access to great body surfing and boogie boarding opportunities and a safe beach for swimming. 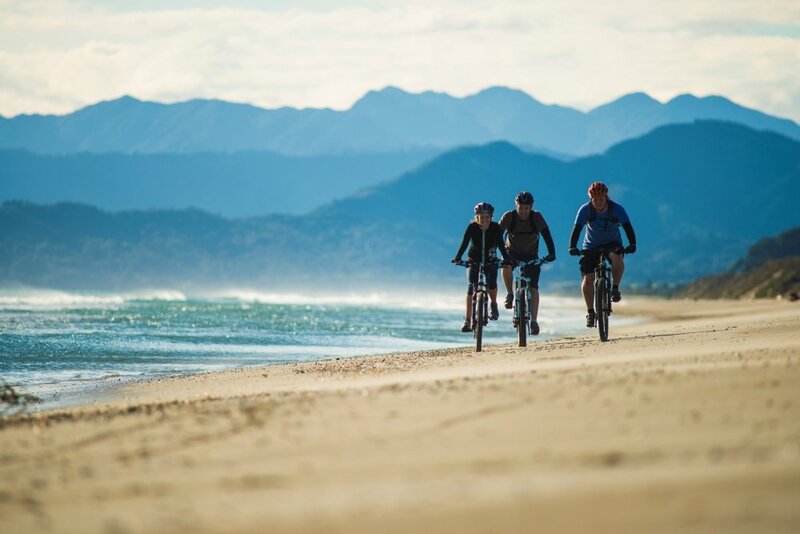 From Christmas until the end of Auckland Anniversary Weekend Ohiwa Beach Holiday Park offers a children’s programme where a variety of activities are organised on a daily basis. The Motu trails offers three unique trails (and the option of combining all of them if you have enough time). Try 'The Dunes Trail' which is an easy option for the whole family. White Island Volcanoe is situated 50 kms off the Eastern Bay of Plenty coast in New Zealand. It is often rated by many travelers to our region as the highlight of their trip. Hukutaia Domain is a half day trip and involves many loop tracks and boardwalks set amongst 4.5 hectares of native bush. Featuring "Taketakerau" an ancient 2000 year old burial tree. Travelling to or from our Park, the Ohiwa Oyster Farm is the perfect place to take a break and enjoy some fresh fish and chips. Enjoy the harbour views of Ohakana Island while you eat. Anne and Paul Robin have been developing Ohiwa Macadamias for 20 years. The're passionate about the products they produce and the environment they work in. A friendly welcome is always guaranteed when you play the stunning but testing par 70 Opotiki golf course. Lush fairways, manicured greens, and mature trees will ensure you enjoy the view as much as the golf. With themed rooms of yesteryear it is a trip down memory lane for older visitors and a real eye opener for young people.